Greendale Property Management offers your family the very best selection of fabulous Orlando Vacation Homes with pools, town homes, condos, and family vacation villas located "next door" to Disney World in Kissimmee, Orlando, Florida. All the luxury vacation homes Greendale Property Management provides are just 4 miles from the theme parks, minutes from I-4 and within easy reach of a wealth of local amenities such as supermarkets, restaurants and other activities. Staying in one of our luxury 3, 4, 5 or 6 bedroom vacation pool homes will provide you with the perfect base for your next family visit to the Disney area. To find your dream vacation home that is perfect for family vacation , just complete the search box opposite and click on the "Go" button. The search engine will then find all the luxury Disney vacation rental homes that are available for the dates of your stay. Just choose the exact vacation home that's right for you. You can then either complete our online booking form or contact us toll free on 1-866-989-2030 to secure your luxury vacation rental home. We have a Florida vacation home for every budget , whether it be a luxury 3 bedroom vacation home with pool, or a 6 bedroom executive pool home with lake views and game room. We even have resort vacation homes that are perfect for the family with small children. 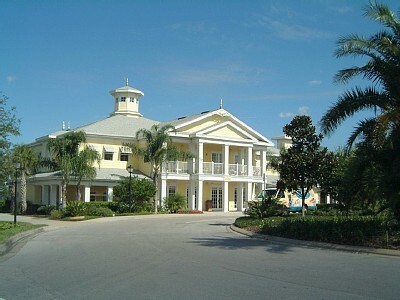 When your family wants to stay in the best quality vacation homes in the Kissimmee area, Greendale Property Management and www.magicvillas4u.com offer you just that. We often have special deals on homes so don’t be scared to pick up the phone and talk to us. Your family can enjoy a fabulous dream vacation in one of our Florida homes, at a fraction of the cost you would usually pay for a hotel. Greendale Property Management is a leading management company in Central Florida and maintains each of the vacation homes offered through this web site. By choosing one of our luxury vacation rental homes you get the assurance that what you book is what you get - a carefully selected vacation rental that will meet your budget and needs. The home you see is the home you get , no excuses ! For less than the cost of a hotel room in many instances you can along with family or friends rent a luxury vacation home with private pool with spa, games room, and free Internet access and maybe even a free bbq for less than the cost of a small cramped hotel room on a busy highway, not only this but you will be given the personal touch by one of our experienced travel planners who will listen to your specific needs and make sure that the home that you reserve is the right one for you. Greendale Property Management has an A- rating with the Better Business Bureau.